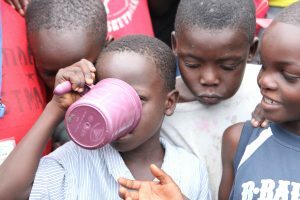 C lean Water Initiative: Youth Action International in collaboration with its partners at Waves4Water have distributed thousands of water filters to communities in rural Liberia. These low-cost filters use advance technology to purify water for families who traditionally get water from streams and other sources of water which may be unsafe for drinking. 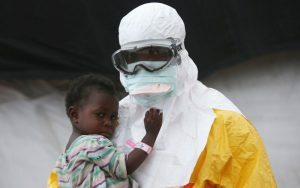 Waterborne illnesses remain a major cause of sickness and death in many parts of rural Liberia. By distributing the filters and teaching beneficiaries how to use them, prevents hundreds of people from falling sick or dying from water borne diseases. In 2018, Youth Action International and Waves4Water will distribute hundreds of filters to benefit thousands of people living in areas where we are implementing programs. For many families living below the poverty line, the most difficult and painful is having a child or loved one falling sick and being rejected from hospitals because they cannot afford even the basic registration fees. The emergency health care support will operate in two tracks: on the one hand, it will provide emergency support for critically ill members of the community who cannot afford the basic cost of treatment. Track II is a long term sustainable program that will encourage and facilitate local communities to participate in group and community insurance programs so that families are prepared in the event of a health emergency.